The current framework was set out in the Public Contracts Directive 2014 for procurement by public authorities and utilities. The ultimate objective is for procurements to be competed transparently and fairly. Currently, contract notices are widely available on TED – the Official Journal of the EU dedicated to European public procurement. Contracting authorities have a legal obligation to publish public procurement information – this obligation will remain, but official guidance states a new UK e-notification service would be available for the UK to use instead of TED. The requirement to advertise in Contracts Finder, MoD Defence Contracts Online, Public Contracts Scotland, Sell2Wales and eTendersNI will remain unchanged. A large proportion of contracting authorities conduct procurement via a third-party provider (i.e. an ‘e-Sender’) and they are currently in talks to confirm their intentions to integrate with a new UK e-notification service, for example, Proactis. This new service will be ready for use by exit day 29 March 2019, should there be a no-deal Brexit. If, however, you have already entered into a procurement exercise ahead of the exit date it is thought the effect of the former rules will be preserved to maintain fairness throughout the procurement process. 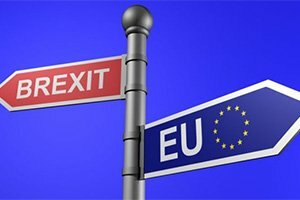 Aside from the new notification service for both buyers and suppliers to consider in the event of a no-deal Brexit, it is said that public procurement regulations will remain unchanged. Public sector buyers will still have to comply with the Public Procurement Regulations 2015, since these are already part of UK law. It is likely that contracting authorities will continue with the current format and evaluation of tender submissions: although they would technically be able to create their own agenda, the chances of this are slim. The continued need for procuring important services, such as social care, which cannot be paused or delayed, will result in a lot of methods continuing as normal in the short-term. To discuss how our team of bid writers can support you contact us today.